If you’ve lost a tooth, dental implants can help restore your smile and your confidence with natural-looking teeth that are more secure, comfortable, and convenient than dentures or bridges. 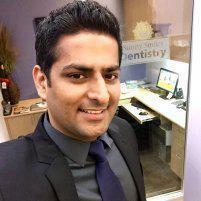 Dr. Sandaldeep Singh is skilled in dental implant procedures, helping men and women at Sunny Smiles Dentistry recover their dental health following tooth loss. Call his Gilroy, California office to learn more or schedule your appointment online today. Dental implants are metal posts that are implanted into your jaw bone and used to support artificial teeth, crowns, and in some cases, dentures. Implants are a very popular alternative to dentures and bridges because they’re more like your own natural teeth, and their attachment to your jaw bone makes them very comfortable and secure. Implants are made of titanium, the same biocompatible metal used in joint replacement prosthetics. Are implants better than bridges or dentures? Many people prefer dental implants to bridges or dentures because they’re very secure — you won’t have to worry about embarrassing slippage or painful sore spots that can occur with dentures — plus they’re easier to care for than either dentures or bridges. Because of their secure design, they can help you feel more confident following tooth loss. The most significant advantage is that since they’re secured to your jaw bone, they help promote the natural bone replacement cycle, just like a natural tooth root. That means they can help prevent bone atrophy that occurs following tooth loss, helping you avoid future tooth loss. Dental implant placements usually take three visits. First, Dr. Singh performs a careful evaluation of your teeth and jaw bone to determine if you’re a good candidate for dental implants. Implants require a specific amount of healthy jaw bone to ensure they stay secure and supported. Once he determines you’re a good candidate, treatment starts with the implantation of the titanium post into your jaw bone. The post is left alone for a few months to allow it to completely fuse with the bone tissue. At your next visit, Dr. Singh attaches a second piece called an abutment. The abutment connects the post with the crown. Then he makes an impression of your tooth and sends it to the lab where the crown is made. At the third visit, Dr. Singh attaches the crown to the abutment and adjusts it for a perfect fit. With proper care, including regular brushing, flossing, and professional cleanings and checkups, your implant can last as long as a natural tooth. While the crown and post can’t become decayed, the gums around the implant can still become infected, just as they can with your natural teeth. Practicing good care habits is important in making sure your implants stay in great shape.